A bond like no other. Sisters are the friends we didn’t ask for but desperately need. This connection we share with the ones we love can often be represented in the form of a momento, a keepsake to carry through life’s highs and lows. Enter Fendi’s staple bag: the Peekaboo. As a part of the brand’s campaign #MeAndMyPeekaboo, a series of short films featuring the likes of Clara and Esther McGregor, and Jessica and Krystal Jung, a new set of sisters take to the New York streets with their Peekaboos in tow. 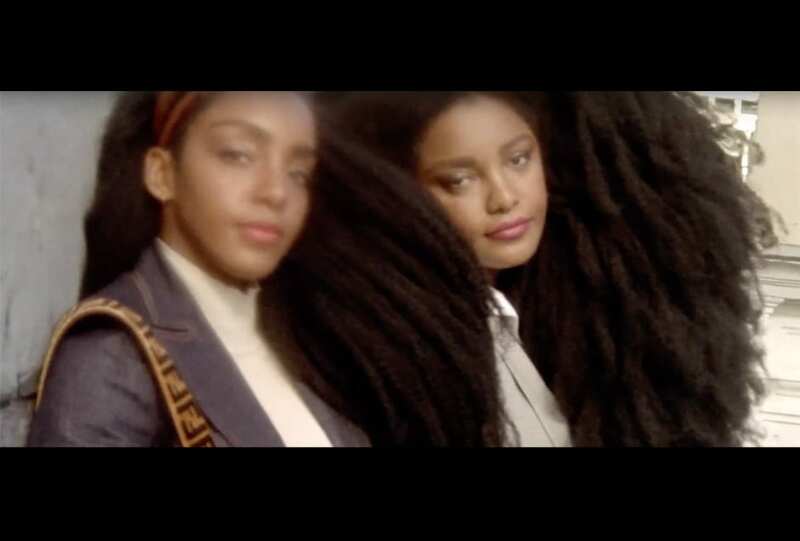 Trailblazers and advocates of natural beauty, the Quann sisters (Cipriana and TK Wonder) are our ultimate icons. Co-founders of Urban Bush Babes, a natural hair advocacy and advice platform that ensures the beauty of your natural self is always celebrated, the pair share a bond and a passion that inspires and ignites envy. Oozing with the confidence they are known for, the pair are unapologetically themselves. Armed with the power of the Peekaboo, their personal styles compliment each other to create the ultimate dream team – as sisters often do. The campaign features pairs from all walks of life, sharing with us the individuality and quirkiness that makes them who they are, and why they attract the best company around.